Graham Hunt is an experienced freelance news and sports photographer having been a staff photographer with the Dorset Echo for over 10 years, covering a variety of different events from festivals, agricultural shows, magazine features, breaking news, royal visits, football, rugby and other sporting events as well as producing images for advertising features and landscape images for the newspapers calendars and books. Graham is ECB and DataCo accredited through Pro Sports Images and holds an NUJ Press card. His images have been used in the national press including The Daily Mail, Daily Express, Daily Mirror, The Sun, The New Day, The Daily Star, The Times, The Sunday Times, Daily Telegraph, The Guardian, The Observer, The Independent , BBC News and ITV West Country News as well as their websites. 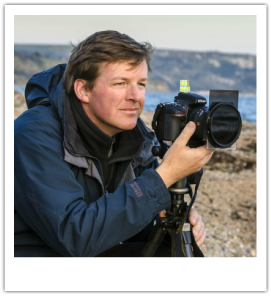 His landscape images have also been used in various magazines which include Amateur Photographer, Coast Magazine and Dorset Life. Graham's landscape photographs have been used in a number of books and calendars published by the Dorset Echo.